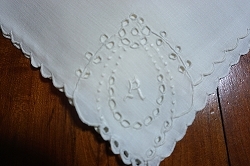 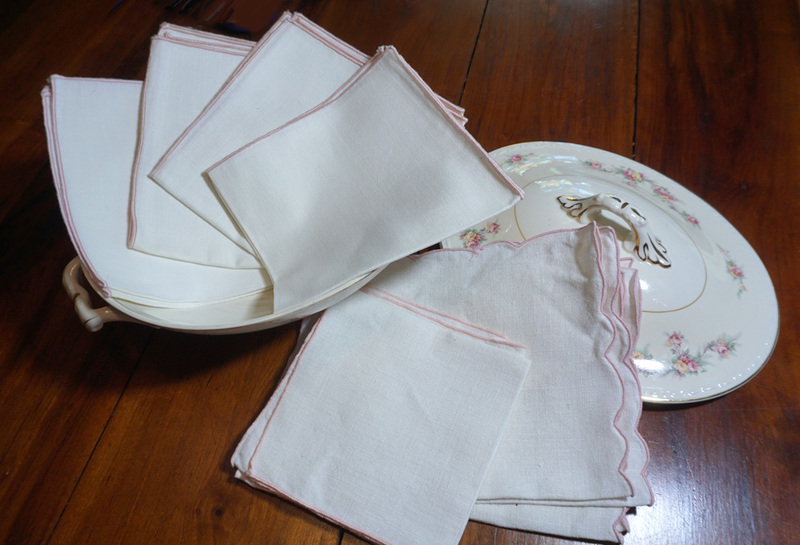 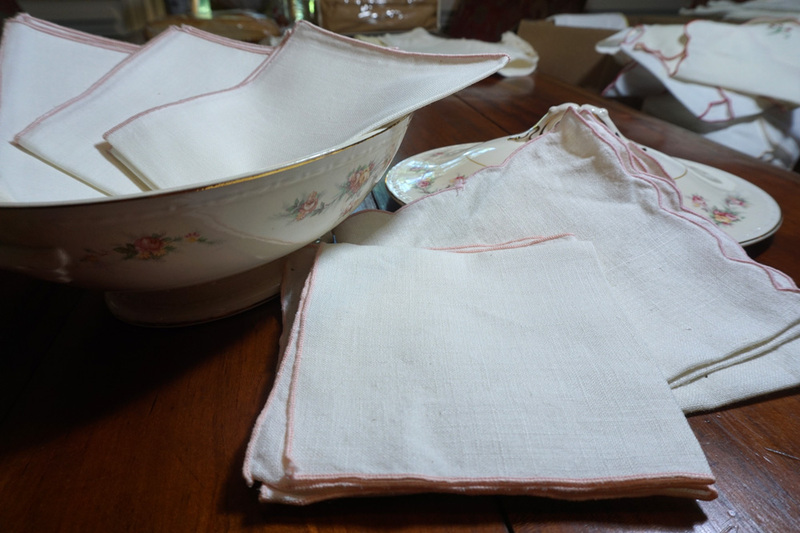 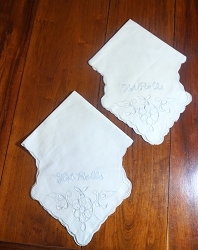 A couple of these cute little linen napkins with pink edges keep arriving in auction lots, never enough to make a full set. 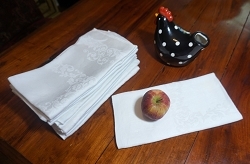 So if they work with your color scheme then they need to come live with you! 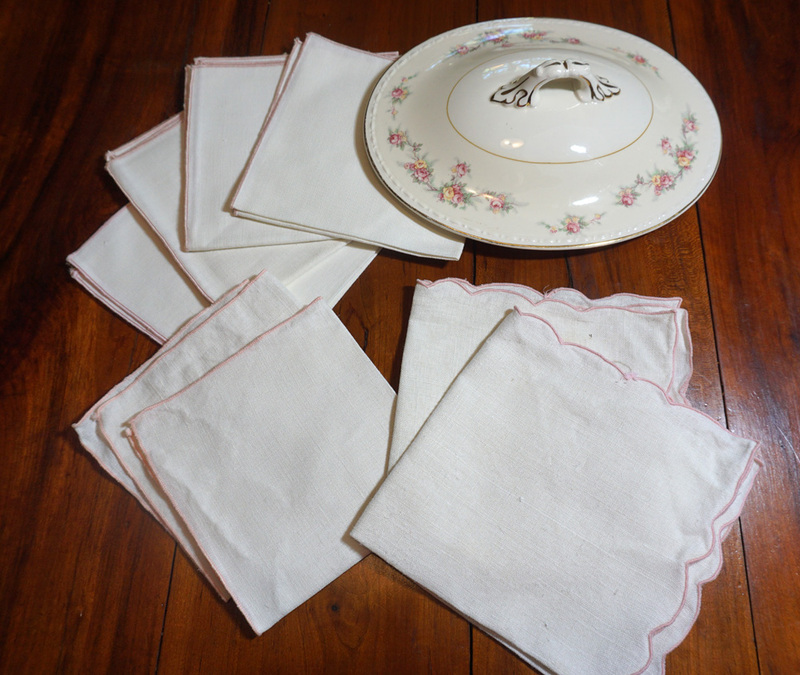 Probably 1950's vintage, they're so similar they may all be from the same manufacturer. 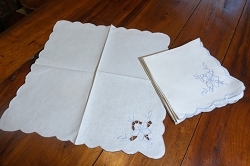 There are 4 that are identical plus 2 matching pairs for a total of 8 pieces in this mismatched but coordinating set.